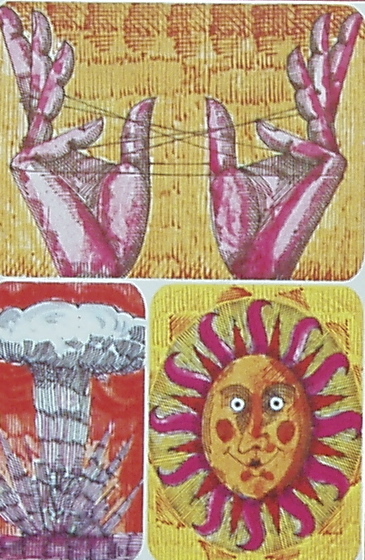 Cat’s Cradle, Kurt Vonnegut, Jr. (1963), Dell, 191 pp. Suppose … that there were many possible ways in which water could crystallize, could freeze. Suppose that the sort of ice we skate upon and put into highballs — what we might call ice-one — is only one of several types of ice. Suppose water always froze as ice-one on Earth because it had never had a seed to teach it how to form ice-two, ice-three, ice-four … And suppose … that there were one form, which we will call ice-nine — a crystal as hard as this desk — with a melting point of, let us say, one-hundred degrees Fahrenheit, or, better still, a melting point of one-hundred-and-thirty degrees. Supposition becomes reality, and the fate of the earth lies in the hands of a strange family of misfits who’ve become the leaders of an island nation in the Caribbean. It’s a challenge to make a comedy out of the end of the world, but, as with Kubric’s Dr. Strangelove, you can’t avert your eyes from Vonnegut’s story of earth’s final chapter. And, also like Dr. Strangelove, Cat’s Cradle is slapstick rather than tragedy. This is the way the world ends: not with a whimper, but a loud raspberry and sky-wards nose-thumb. This entry was posted in Adventure, Humorous, Science fiction and tagged Kurt Vonnegut. Bookmark the permalink.